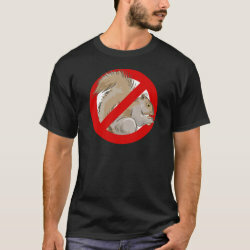 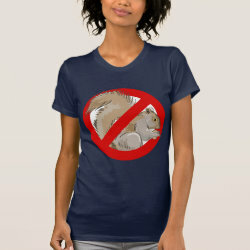 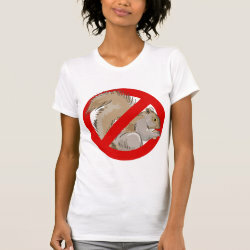 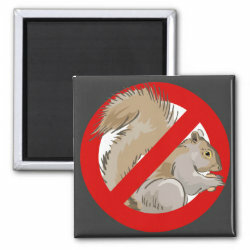 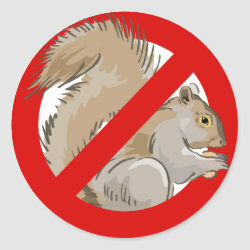 This is a simple design for anyone frustrated by back yard squirrels. 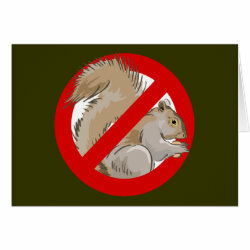 It's not that you wish them harm... if only they would stop getting More... into the bird feeders, digging up the yard, and bothering your birds. 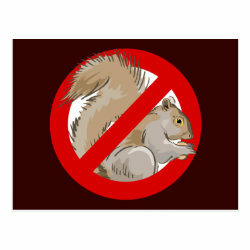 If only banning them from the yard was as simple as putting up this logo. 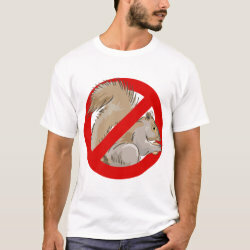 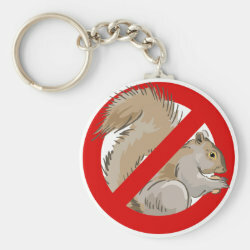 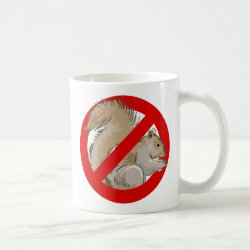 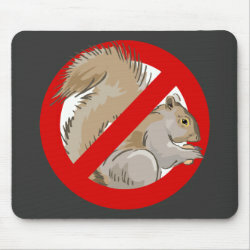 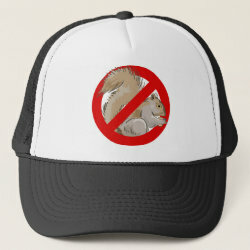 No Squirrels Allowed!